Our Report just released with national charity Learning through Landscapes, suggests that many nurseries, schools and playgroups are struggling with inadequate outdoor space or in some cases have no outside space at all. The report calls for the Government and Ofsted to affirm and strengthen the statutory requirement for children in the EYFS. The report further calls for the Government and Ofsted to provide better guidelines for preschools, schools and nurseries, and to information for parents about what they should expect for their children. 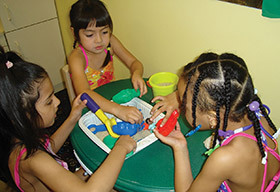 Nearly 400 early years providers from the Early Years Sector responded to the survey initiated by the Early Childhood Forum and the national charity Learning through Landscapes. The survey found continued strong support for outdoor play and learning in the early years, with many settings making improvements in their outdoor provision over recent years. But there is also clearly a wide variation in what children are offered in terms of daily outdoor experiences as part of their core early education provision. Of key concern is that the planned Government expansion of free childcare for working parents over the next few years might also have a further negative impact on the space available for outdoor provision. 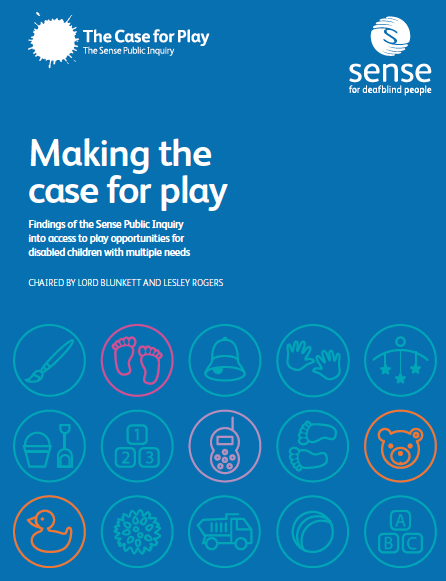 The new report from SENSE reveals the severe restrictions facing disabled children in accessing play, and identifies failings at every level that result in disabled children missing out on opportunities essential to their emotional, social, and physical development. A lack of attention by government, insufficient funding at a local level, and a negative attitudes towards disabled children and their families, are all barriers highlighted in the report. The Early Childhood Studies Degree Network states that there is substantial empirical evidence and numerous Parliamentary reports that recognise the importance of what happens in early childhood and the impact on life chances (APPG, Fit and Healthy Childhoods, 2015). The ECSDN strongly urges the government committee to use the Life Chances Strategy Inquiry, not just to add to this wealth of evidence, but to ensure that action is taken to actually support systemic transformation that will enhance the life chances of our youngest generation now and in the future.